Luther Refracted speaks to the currency that Luther’s life and thought continue to enjoy in today’s Christian reflection. The contributors, representing a variety of Christian denominations, demonstrate Luther’s lasting impact on their own traditions and, together with the Lutheran respondents, encourage a fresh understanding of the Reformer. 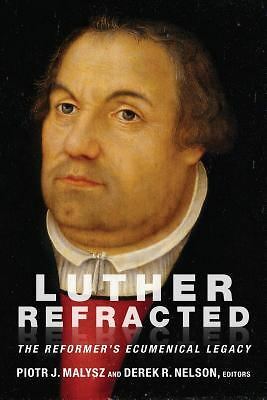 In their at times vigorous engagement, Luther’s legacy comes to light not only as variously received but also as contradicted, and transformed, only to reemerge as a fruitful leaven for further thought and transformation. All the essays presented here witness to Luther’s significance as a formidable doctor ecclesiae, a teacher of the church.